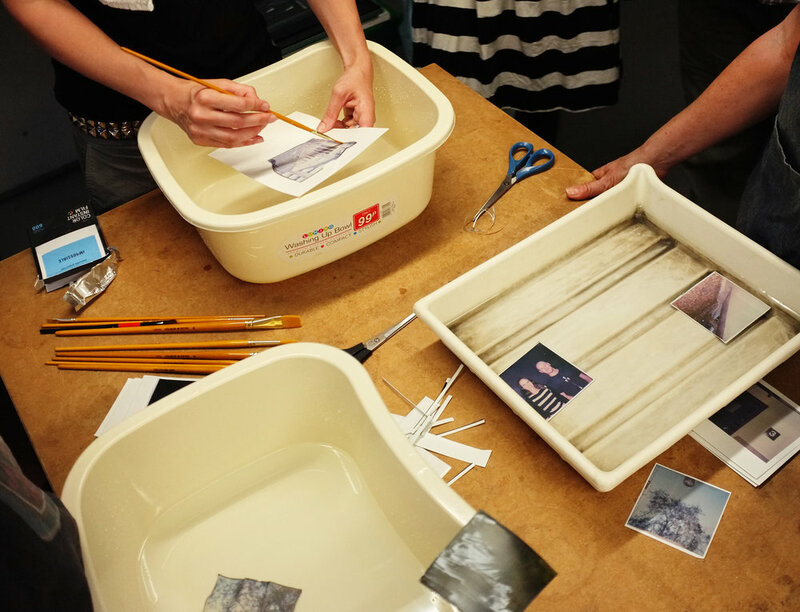 As part of of our ongoing commitment to support alternative processes, we brought in local photographic artist Catriona Gray to run her first Polaroid Lift workshop at darkroom last week. What is Polaroid Lift, we hear you asking. Remember those plastic squares, squeezed under your armpits to encourage the instant photograph to develop more quickly? Well, they are the raw material for a highly satisfying piece of destructive creativity. 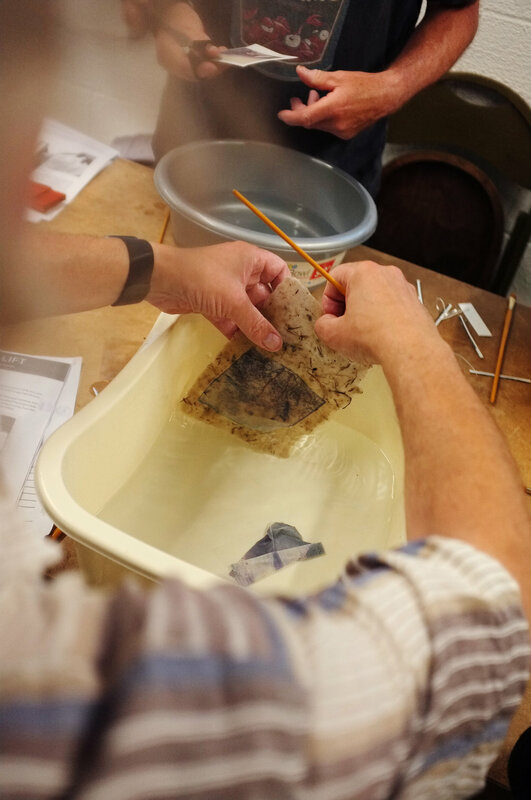 A bit of chopping, peeling and scraping in hot water (yes, one of the participants even said it was a bit like a cooking class), leaves you with the image on a slippery, gelatinous film that can be carefully manipulated onto textured paper, tiles, even wood!